These stylish Papillio mules with a cork footbed are clean, minimalist and exceptionally glamorous. The seamless upper on the Charlize model features an open selvedge finish and is made from a single piece of leather. It wraps around the footbed in the heel section, where it is stitched. The high-quality, soft smooth leather has been given a fashionable metallic coating. Papillio selects only the highest-quality materials. The look is bright and breezy, with the cut-out sections on the sides not only looking cool but also letting the feet get plenty of fresh air. The anatomically formed cork-latex footbed with soft suede lining makes the Charlize sandal a summer companion for anyone who sets great store by a stylish and comfortable appearance. This is also down to the ultra lightweight and flexible EVA outsole, which matches the shade of the upper on each of the four models available in metallic colors. 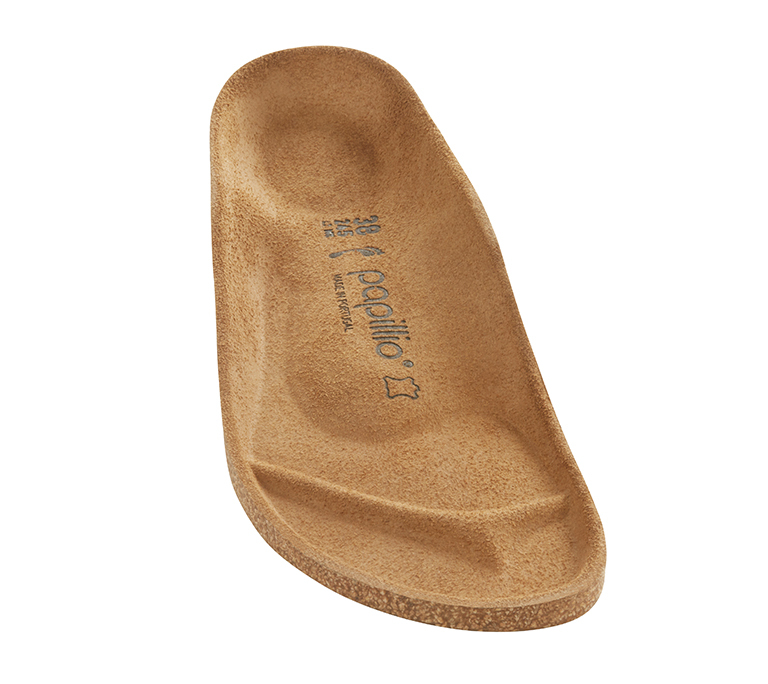 The slight sole profile also enables a rolling motion that is perfect for feet and body.